Powered by 9-volt battery or AC Adapter. 0 - 350 volts maximum (500 ohm load) adjustable voltage output. Twin-peaked monophasic waveform with fixed interpulse interval of 100 µS waveform. 1 - 120 Hz (adjustable), 1 Hz/step pulse rate. System includes: stimulator, lead wires, four self-stick hypoallergenic disposable electrodes, 9-volt battery and AC adapter, hard plastic carrying case and instruction booklet. TENS/EMS Units & Stimulators can be found in our extensive online collection of products from globally recognized and trusted brands, including Current Solutions. 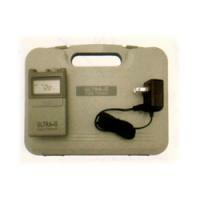 An excellent option to consider is the Ultra-G Digital Galvanic Stimulator with AC Adapter.